The distribution of food and water remains the top priority in Puerto Rico following the devastation from Hurricane Maria, Gov. 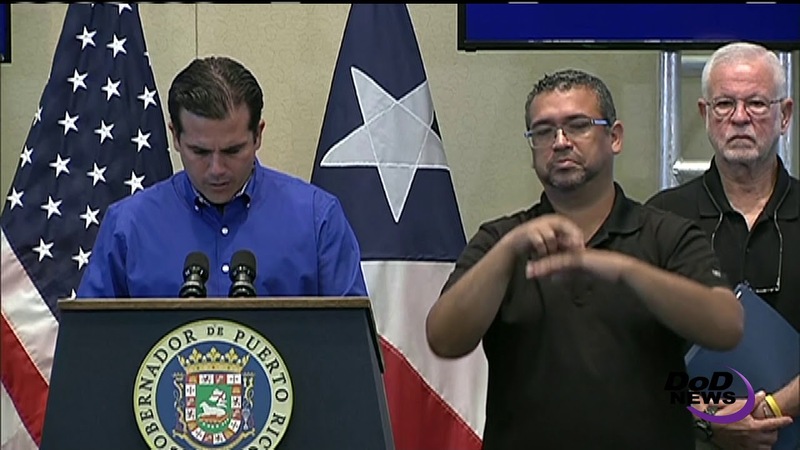 Ricardo Rossello said today at a news conference in San Juan. Puerto Rico officials continue to work closely with the Defense Department, the Federal Emergency Management Agency and with state partners through the Emergency Management Assistance Compact, he said. "We have over 12,000 -- almost 13,000 --- DoD personnel in Puerto Rico, over 4,000 Puerto Rico National Guard and EMACs together," he said. "There's an expectation of 3,000 more to come to Puerto Rico in the next couple of weeks as well." The Puerto Rico National Guard will deploy to the municipalities to help distribute food more effectively, he said, noting complaints of food not being properly delivered. "Water and food delivery keeps being a top priority, making sure the people of Puerto Rico have the elements important to survive through this crisis," he said. Other priorities include restoring energy through generators or the power grid, as well as hospital sustainment and repair and maintenance of generators. The hospital ship USNS Comfort is deployed today on a mission to Aguadilla, the governor said. "I remind you that it has the capacity of having about 1,000 patients and 250 beds," he added. USNS Comfort has more than 800 personnel embarked for the mission, including Navy medical and support staff assembled from 22 commands, as well as more than 70 civil service mariners, Navy Medicine East officials said. Navy Medicine East is one of two regional commands that manage the Navy's worldwide health care system. Thanks to an effort with the Department of Health and Human Services, the governor said, the island will now have the Emergency Prescription Assistance Program to help 500,000 residents who do not have access to health care. The governor said he stressed the urgent needs of the island to a visiting congressional delegation yesterday, calling for an immediate relief package for at least $4.6 billion and then a longer-term recovery package. 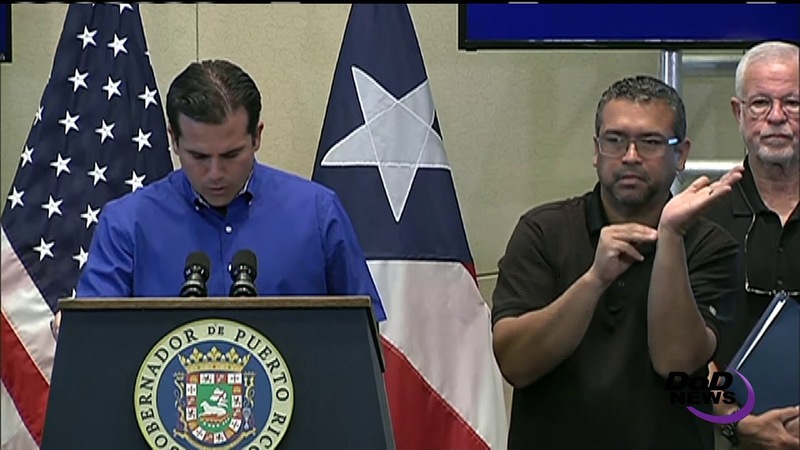 In addition, he said, people can visit http://www.status.pr for status updates regarding the recovery efforts. An icon in the home page's top-right corner allows the user to see the site in either English or Spanish. As of this morning, the website reported 78 percent of the island's 1,100 gas stations are open, 77 percent of the 456 supermarkets are open, and 66 assisted hospitals are operational.